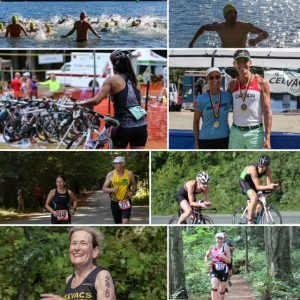 This is a FUN, FRIENDLY, Triathlon and Aquabike event hosted by the dedicated and well-known Ceevacs Roadrunners & volunteers! * No race day registrations, so register early! Race Start for Standard, Standard Relay and Aquabike: 8:00 A.M.
Race Start for Sprint and Sprint Relay: 8:05 A.M.